PBS released a new four-part series called Reconstruction: America After the Civil War. All four hours are streaming online. Hosted by Henry Louis Gates, the series features noted scholars and writers including Shawn Leigh Alexander, Omar Ali, Toni P. Anderson, Edward Ayers, Rhae Lynn Barnes, David Blight, Vincent Brown, Jelani Cobb, Christy Coleman, Kimberlé Crenshaw, Greg Downs, Eric Foner, Paula Giddings, Steven Hahn, Nikole Hannah-Jones, Thomas Holt, Tera Hunter, Martha Jones, Kate Masur, Angie Maxwell, Edna Greene Medford, Khalil Muhammad, Nell Irvin Painter, Imani Perry, Heather Cox Richardson, Chad Williams, Heather A. Williams, and Kidada Williams. We look forward to hearing reflections from teachers on the series. How might you use segments of the film in your classes? How does the story in the film series compare to the coverage of Reconstruction in your school’s textbook? Share your feedback in the comments box at the end of this page. 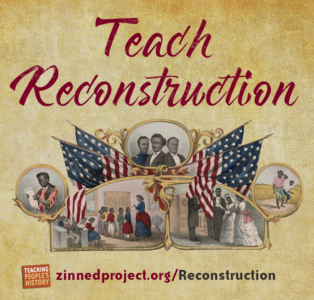 Last year, the Zinn Education Project launched the Teach Reconstruction campaign because Reconstruction is full of stories that help us see the possibility of a future defined by racial equity. Yet the possibilities and achievements of this era are too often overshadowed by the violent white supremacist backlash. Too often the story of this experiment in interracial democracy is skipped or rushed through in classrooms across the country. Today—in a moment where activists struggle to make Black lives matter—every student should probe the relevance of Reconstruction. Our campaign helps teachers uncover the hidden, bottom-up history of this era. We offer lessons for middle and high school, a student project to make Reconstruction history visible in our communities, and an annotated list of recommended teaching guides, student friendly books, primary document collections, and films. 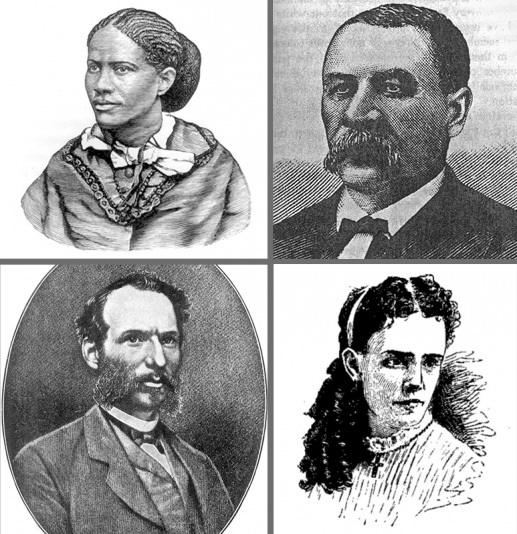 This campaign is informed by teachers who have used our Reconstruction lessons and a team of Reconstruction scholars (a number of whom are featured in the new PBS documentary series). 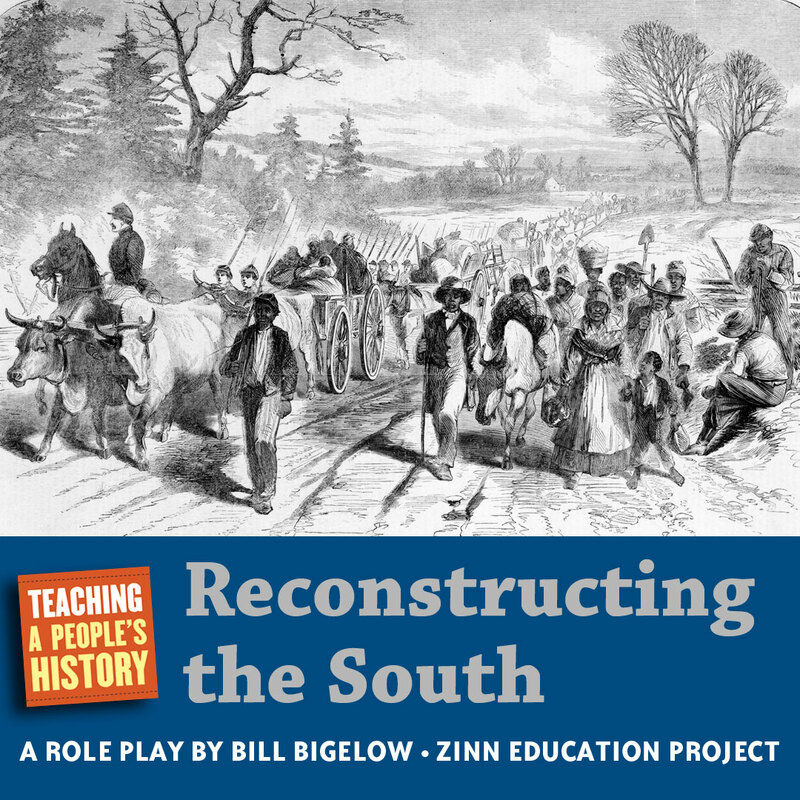 Our lessons on Reconstruction have become the most frequently downloaded from the Zinn Education Project website. The lessons, described below, can be useful for teachers in conjunction with the new PBS documentary series. 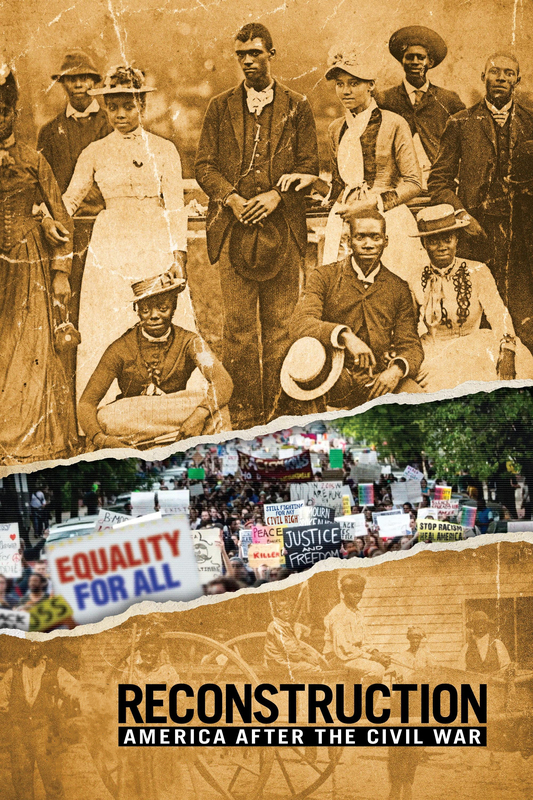 This lesson introduces students to individuals in the Reconstruction era social movements, including the labor movement, women’s rights, and voting rights movements that followed the Civil War. They explore the opportunities and challenges in building alliances. In the mixer, each student takes on the role of a different person involved in the social movements of the time. Next year is the 150th anniversary of the 15th Amendment — when Black men won the right to vote. Voting rights of Black people have been under attack ever since. . . . It is unfortunate that in all the coverage given to voter suppression, there has been little attention devoted to the struggles that led to the 15th Amendment in the first place. 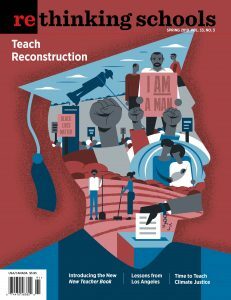 Reconstruction, the era immediately following the Civil War and the abolition of slavery, is full of lessons for students, teachers, and activists. Reconstruction was the first era of Black Power. Black people across the South took the lead in defining the meaning of freedom. Blacks and poor whites began to chip away at the racist ideology that had justified slavery for nearly two centuries, by taking the reins of state governments across the South from the old slave-owning elite. Continue reading. Read Adam Sanchez’s, 40 Acres and a Mule: Role-playing what Reconstruction could have been. Subscribe to Rethinking Schools or order this issue today. Amazing. I took 4 pages of notes. This will greatly benefit my ability to more effectively teach Reconstruction to my AP students. We always struggle with ending the year on time. In Colorado 8th grade curriculum, we hope to get through the Civil War and Reconstruction. Time is always an issue and we are certainly hoping that this series will help us give some visual instruction to our lessons. I’m sure that we would have to take certain topics from the show to use in class. Thanks for airing such an informative show on such a meaningful topic!